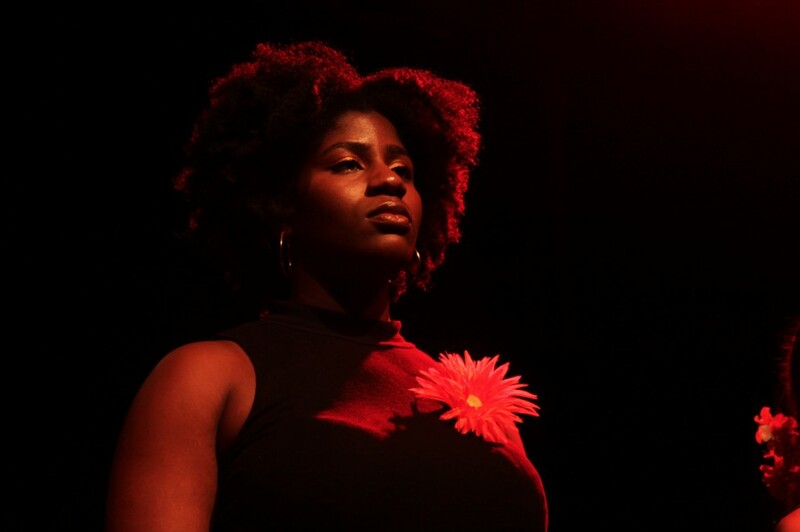 Adaora Ekwonu plays one of the characters in Ntozake Shange's "For Color Girls." Theater as an artform and space is still dominated by white people on campus, from its actors and designers to its scripts and books. It is especially refreshing, then, to attend excellent performances by people of color, who offer aesthetic catharsis for societal wrongs through artistic creation. The multicultural theater troupe Iris staged an incredibly moving production of Ntozake Shange’s Obie Award–winning choreopoem For Colored Girls Who Have Considered Suicide/ When the Rainbow Is Enuf last Wednesday at the Logan Center for the Arts. First performed on Broadway in 1976, the piece explores the ambivalence of female desire, especially when it is racially coded, as well as the difficulties surrounding coming of age as a woman of color in America. The choreopoem consists of twenty poetic monologues performed by seven unnamed women identified only by the colors they wear, associated with the trauma and experiences they have undergone. The lady in green (Daniela de Diego Arozamena) addressed a plant as a stand-in for a wayward lover. The lady in red (Tatiana Khemet) discussed her habit of “scheming, tactful suitors” with silk roses and yet crying herself to sleep afterwards. Despite only having been established in the 2015–16 academic year, Iris is already producing artistically inspiring work, staying true to its vision of “radically inclusive and socially conscious theater.” Notably, the troupe offered free admission to the show but asked for donations to Little Black Pearl, a nonprofit that provides arts and entrepreneurial training to underserved communities on the South Side. The production itself was catered and sponsored by Resources for Sexual Violence Prevention (RSVP), and ushers offered pamphlets listing University and Chicago-based resources available to people seeking assistance for issues explored in the choreopoem. In its best iterations, performance art is centering, uplifting, and capable of providing solace as well as hope. 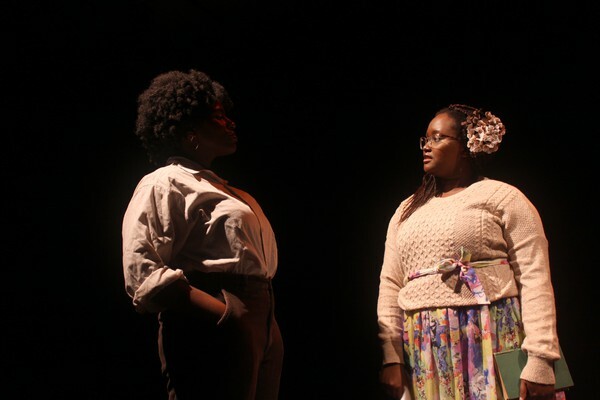 Iris’s production of For Colored Girls is proof that there is an abundance of talent on campus, and that triumphant art is possible in an age of violence and uncertainty. You just need to know where to look. Iris hosts open meetings and auditions every quarter. Subscribe to Iris’s listhost at iristheater@lists.uchicago.edu.